I keep posting teasers of the kitchen on Instagram and you all want the details. It’s so much easier to just post a quick picture than to write the tutorial or blog post for the project. 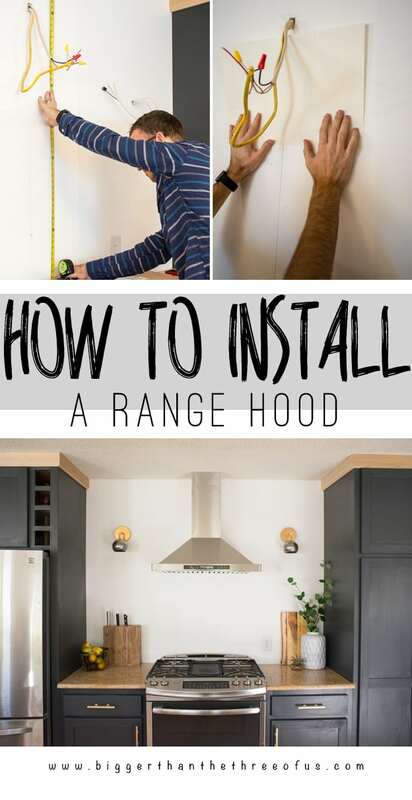 But, I’m here today to share the tutorial for installing our range hood (plus, give a peek at our newly installed sconces). The full tutorial for installing a ductless range hood is on eHow, so pop over there to read the step-by-step. When we had electrical work done awhile back, we had them run wires up the wall for the range hood. We knew that we would need an electrical box behind the chimney portion of the range hood. 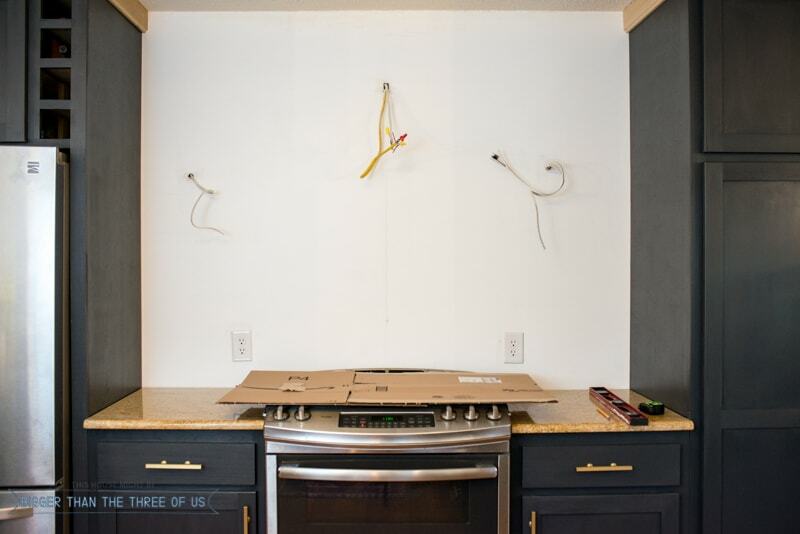 We didn’t have the electricians install the the electrical box, because we weren’t exactly sure where the stove was going to be placed on the wall. 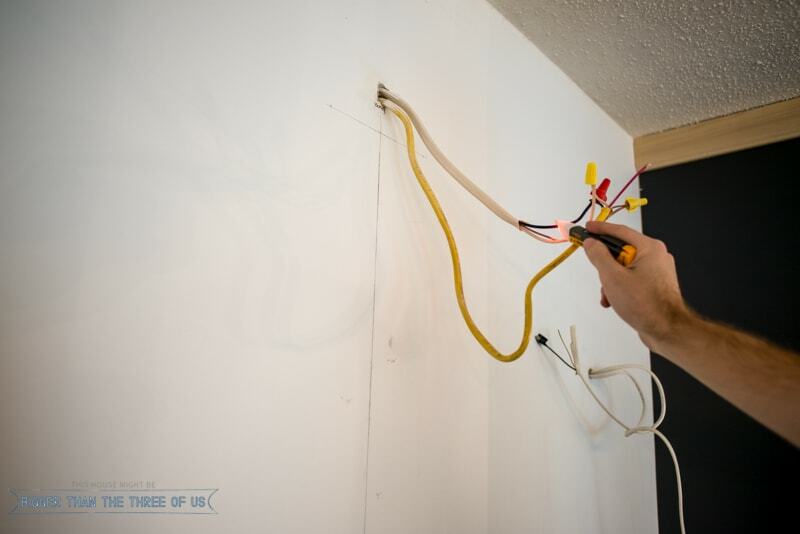 If we would have had the electricans wire up the box and then the box was in the wrong spot, it would have been a pain to fix the drywall around that area. With just the wires popping out of the wall, we could easily patch that small area in just one go. Once we decided on placement, we checked the wires for electricity and then installed the box (again, the full step-by-step tutorial is over at eHow). 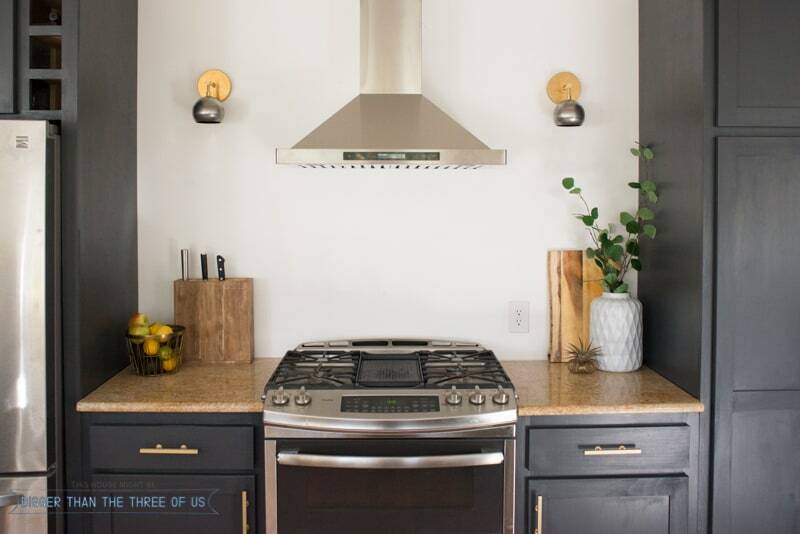 The range hood chimney mounts right over that electrical box for the range hood to work. I love finding ways to help make the projects easier and we found one one this project by creating a template. Luke is the king of paper templates and this project is another one that was great for them. Seriously, I’m beginning to think that paper templates are great for most projects. I love the added character that the hood brings to the kitchen. Plus, it’s a drastic improvement to have a fan over what we had been using (which is nothing). This project is definitely one that’s great for a weekend and, in my opinion, really gives you a lot of bang for your buck. See the full tutorial on eHow. Love this project? Subscribe to our mailing list to keep seeing amazing new ideas!